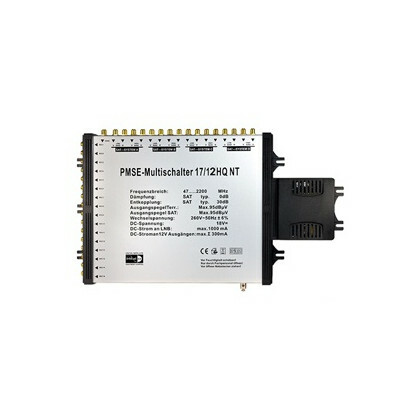 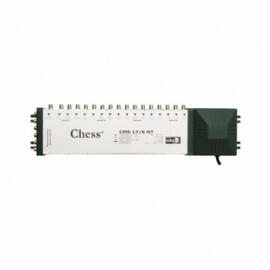 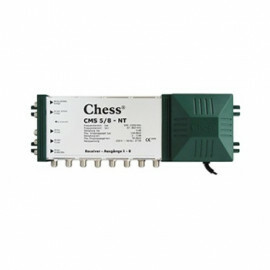 Multiswitch 9x12 DiSEqC from PMSE. 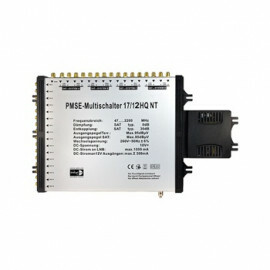 Multiswitch 9 to 12 with integrated power supply and 1 terrestrial input connector for up to 12 Receivers. Supporting 2 Quattro LNBs for 2 satellite positions.